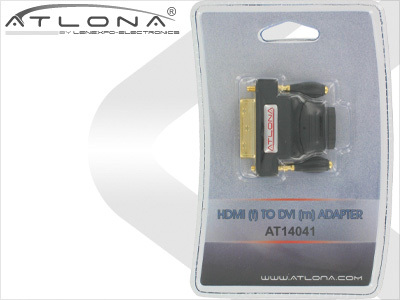 Atlona HDMI ( female ) to DVI-D ( male ) bi-directional adapter is designed to make sure that there is no signal loss when adapting a HDMI cable to DVI input. 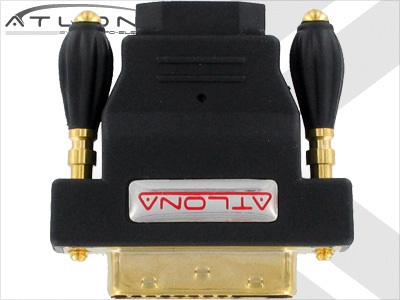 It is made out of industrial quality materials that will ensure a perfect signal transfer. Inside the adapter you will find a set of single strand conductors, which are made of High-Purity copper. The conductors are shielded by a single solid metal plate, to make sure that no interference is picked up in the conversion process. 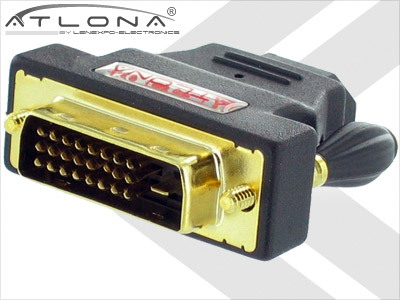 The connectors are gold plated to ensure a great connection.